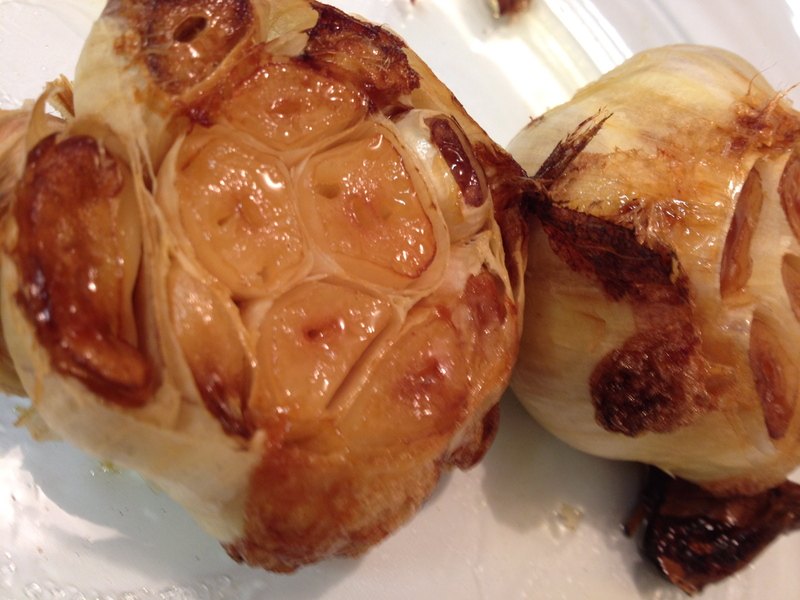 Roasting garlic highlights its inherently lovable qualities. It’s like caramelizing an onion or reducing balsamic vinegar: Take the edge off of it and it plays very nicely with others. It’s also really quite simple. Just like anything in life, it just takes a little time and the result will be well worth the wait. Oh, and it makes the house smell awesome. The roasted cloves taste delicious smashed solo onto a piece of toasted baguette or I’ve even known people to eat them plain. 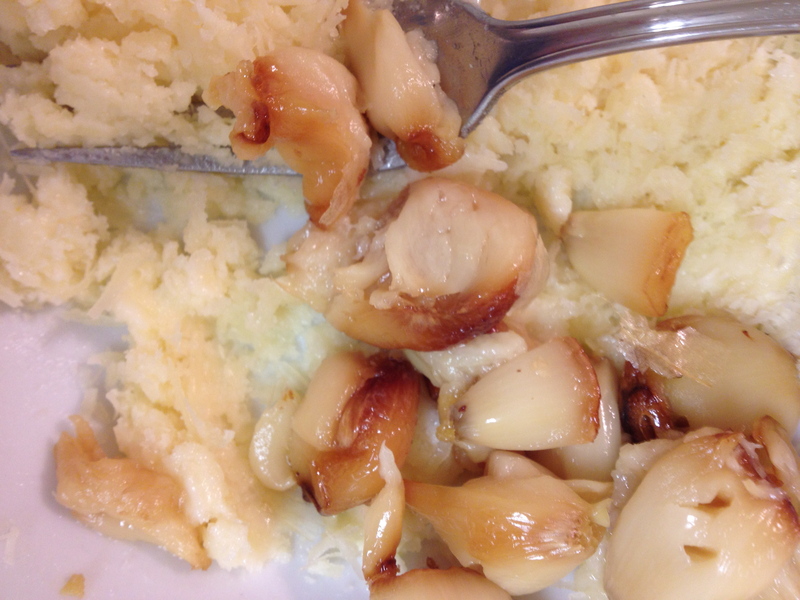 The caramelization process also takes most of the bite off of the garlic. Your breath will not be quite as impressive, so by all means, don’t let that stop you! 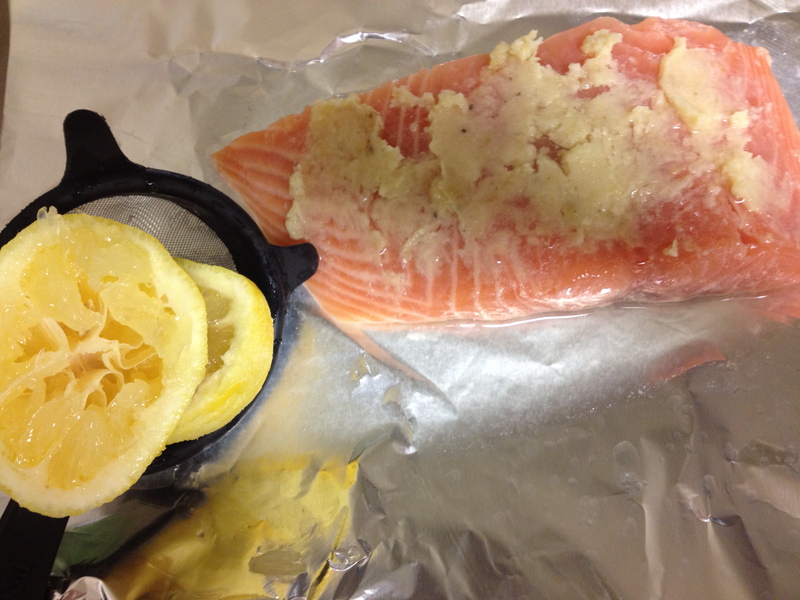 I simply smashed this spread onto the top of a salmon filet, squeezed some lemon juice on top and baked it at 400F for about 10 minutes. 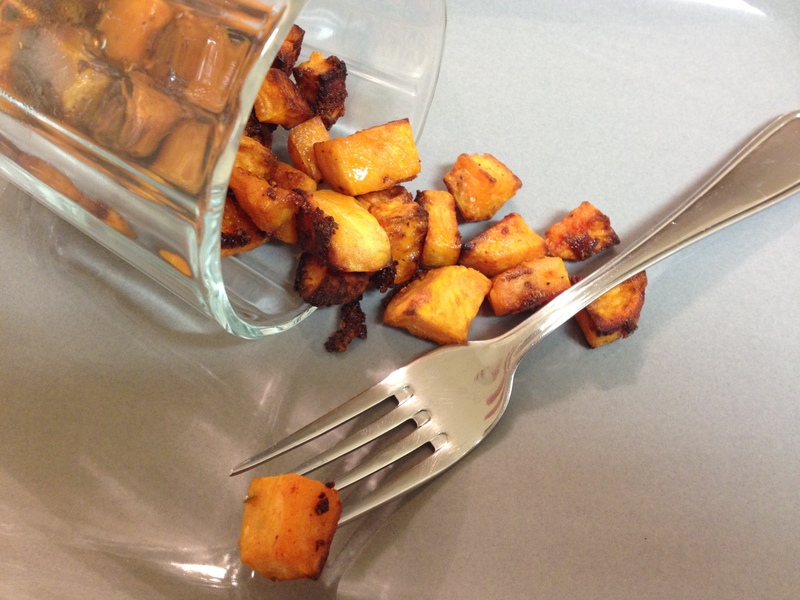 It was also great tossed onto some sweet potatoes and roasted in the same 400F oven. Behead the garlic cloves. Cut about ½ an inch off the top. Place the heads on a baking sheet and cover with aluminum foil. 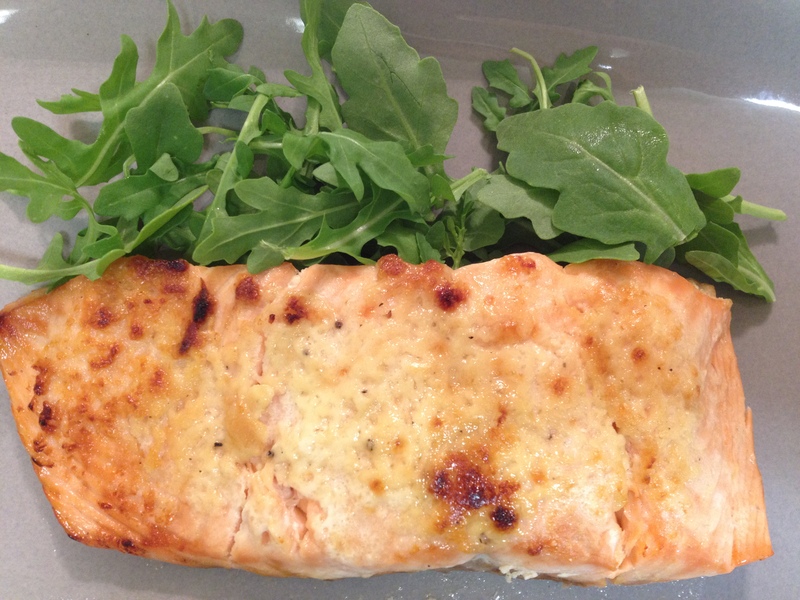 Bake for about 40 minutes, until the garlic is bubbly and golden brown. Allow the heads to cool for a few minutes. 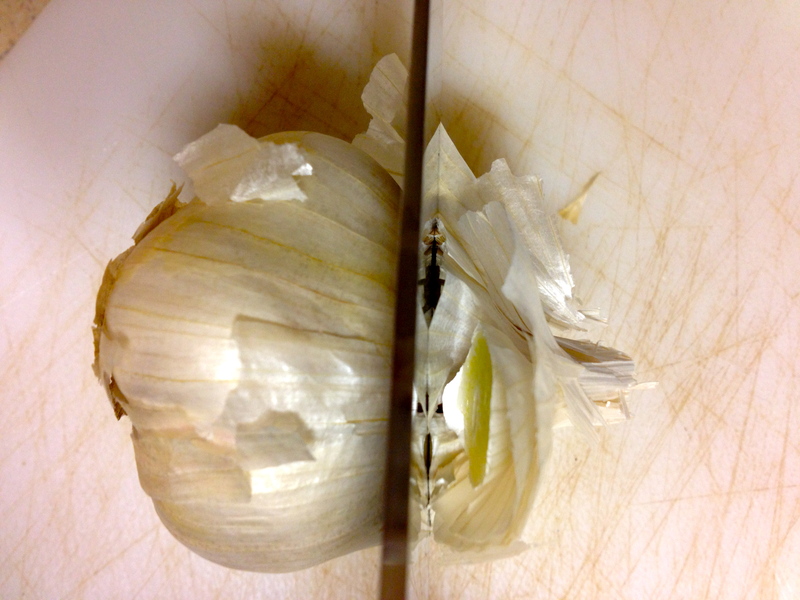 Once the garlic is cool enough to handle, squeeze each clove; the clove should just pop right out! Squish the garlic, butter and Parmesan together.